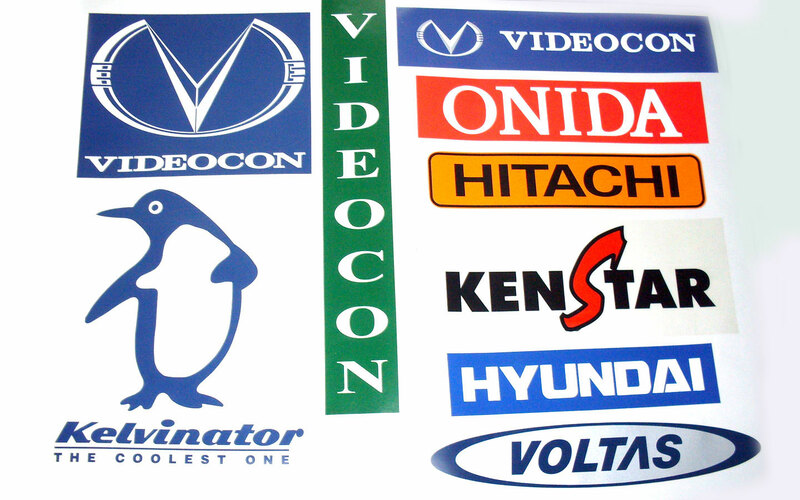 Advance marks is India's trusted source for custom screen printed and full colour digital sticker and decal printing. 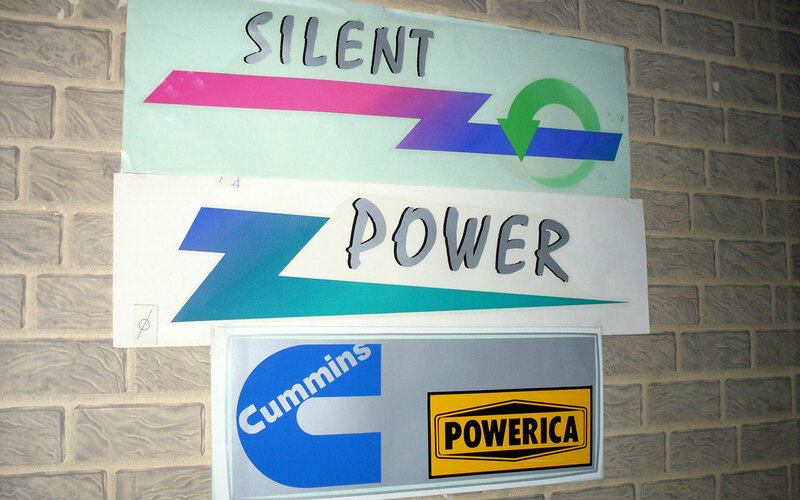 For over 20 years we have been providing customers with high quality printing, fast service and low prices. 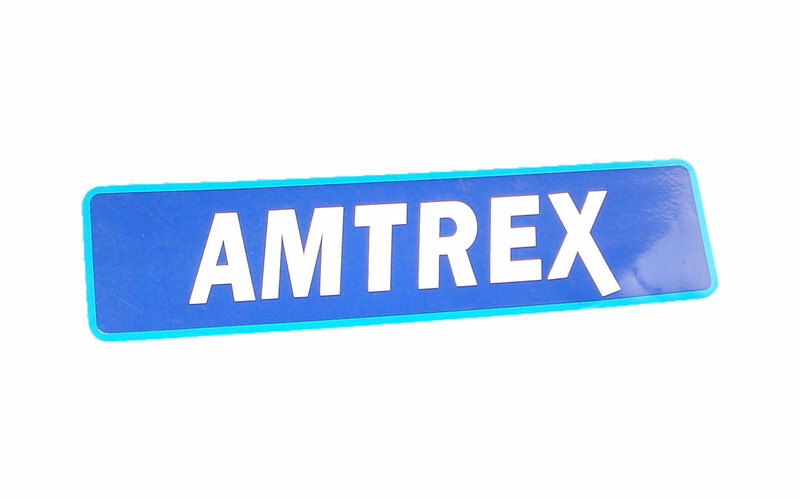 When you need labels for exterior applications and long term durability, advancemarks delivers. 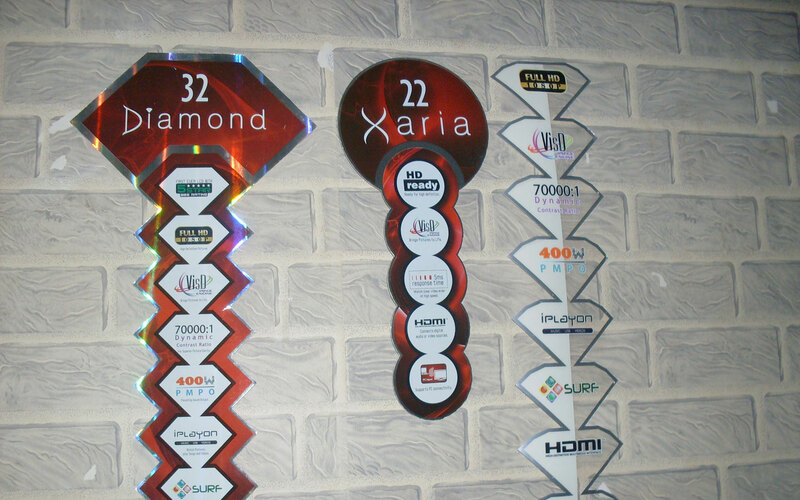 We wish to introduce ourselves as one of the companies of Publicity Promotion Products Group--the pioneers in the Printing Industry and who have been in services and assisting this trade for over 45 years. Groups other diverse activities includes Real Estate Development. 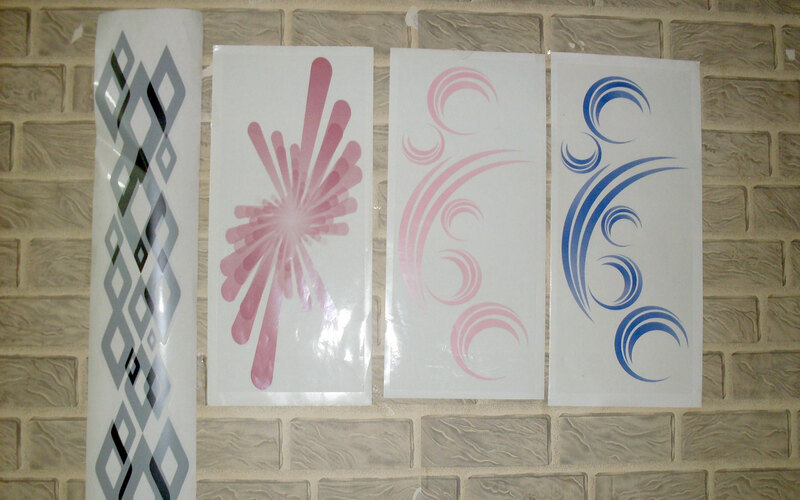 'Advance Marks & Labels' is a hi-tech Screen-Printing House having state-of-the-art equipment and machinery. 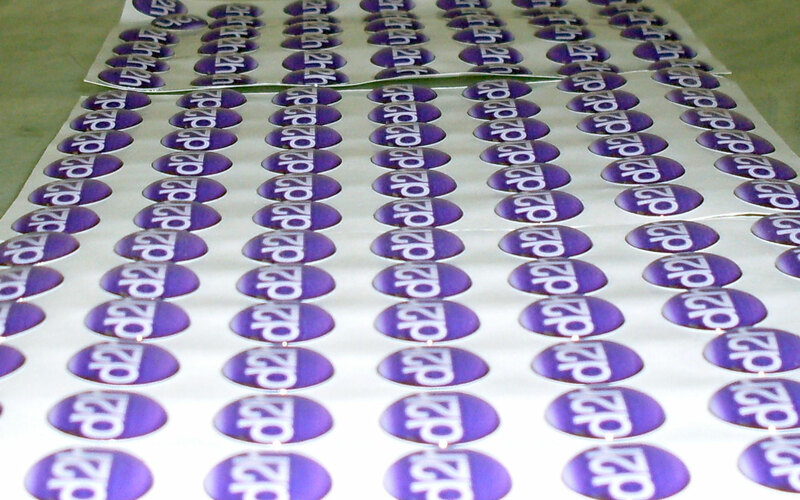 Our Plant Our Self-Adhesive converting Plant is set-up at Vasai ( outskirts of Mumbai ) where the manufacturing is carried out under one roof. 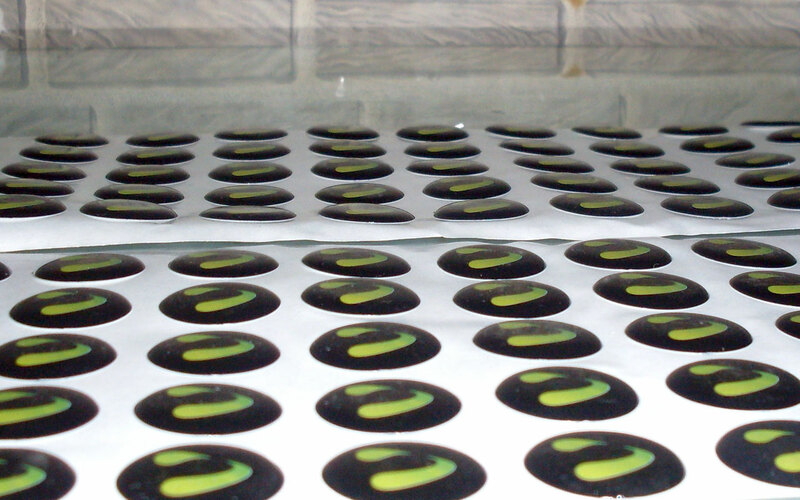 We have modern equipment and machinery to produce Quality products keeping in mind Customers Need. 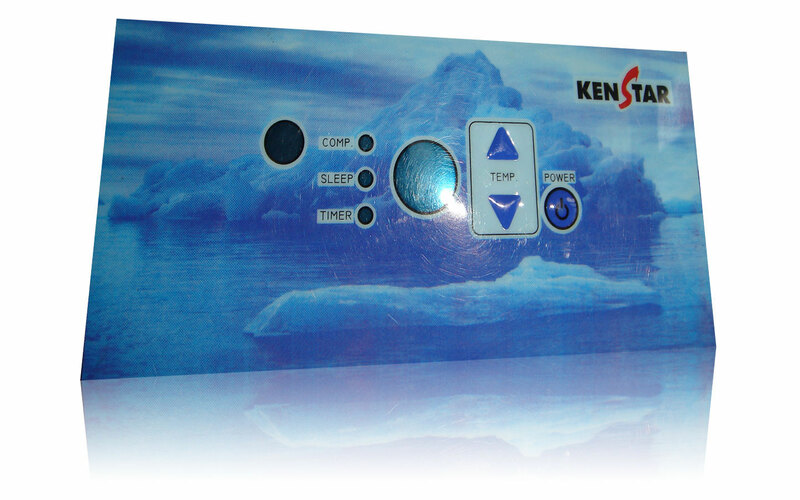 The printing being carried out in a dust free environment with Ionizes, dehumidifiers, thus eliminating the dust particles and having a positive pressure area. 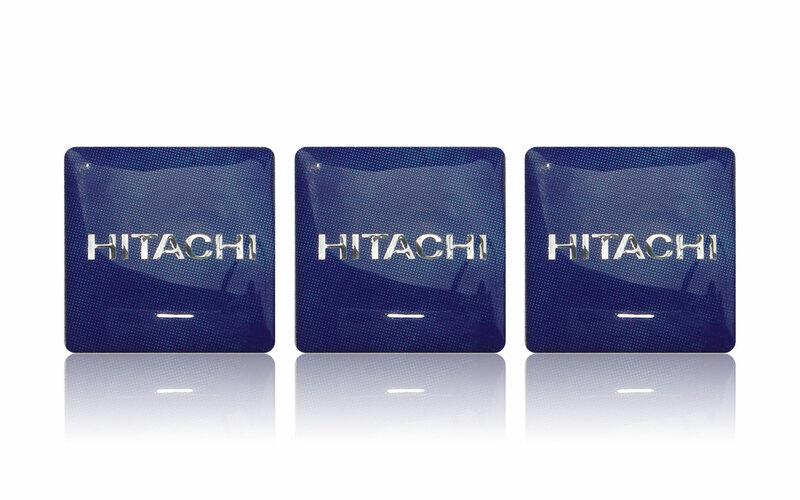 We have our in-House Lab for Physical & Chemical Testing of various raw materials. 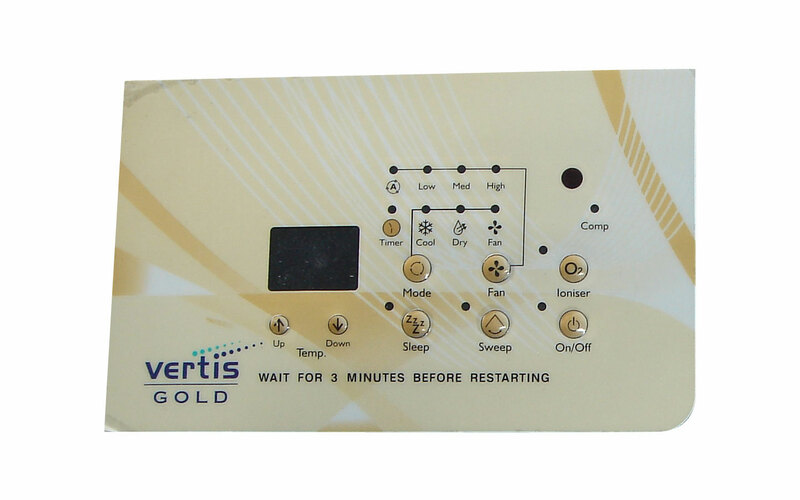 Lab is equipped with the best required instruments and testing Equipments/ machinery. Machines and apparatus installed in the lab are used for our Research & Development to source the best suited raw materials , inks , emulsions , adhesives etc. for each type of Industry. 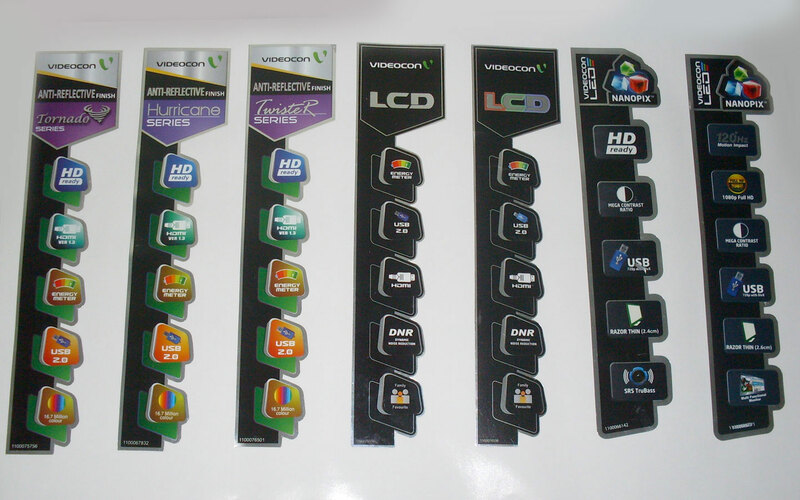 And to produce Visually appealing and Long-lasting products. 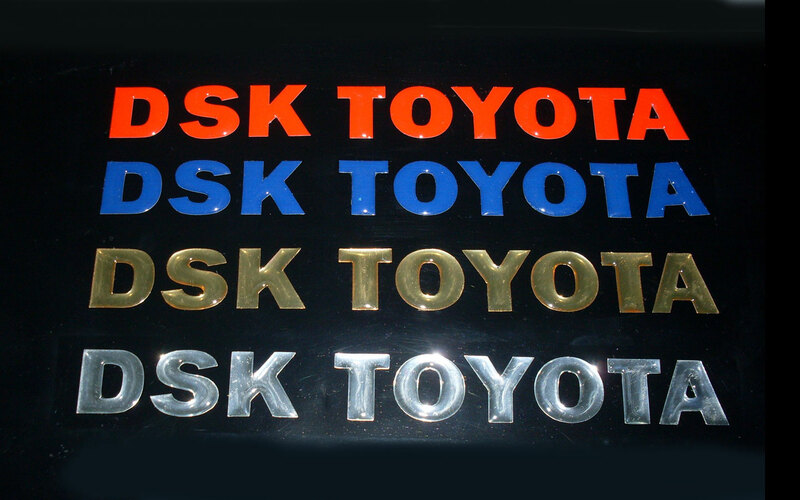 We have a Technically Strong Work-force & a Design Team, keeping in tune with the latest trend & technology to provide the customer the Best available. 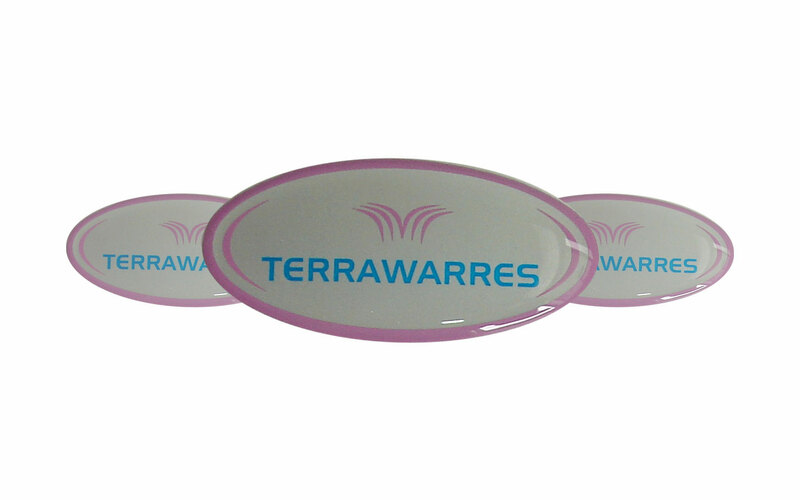 We are one of the largest manufacturer of Dome Labels. 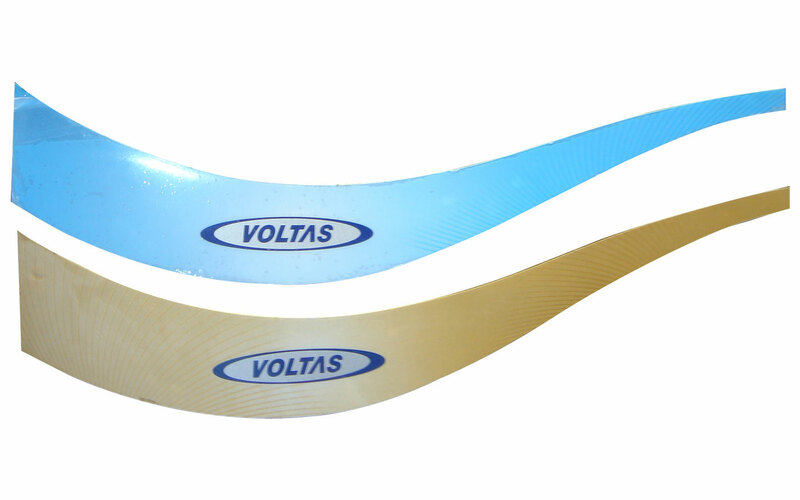 Crystal Clear RoHS Compliant Polyurethane Resin. These have Excellent outdoor durability. 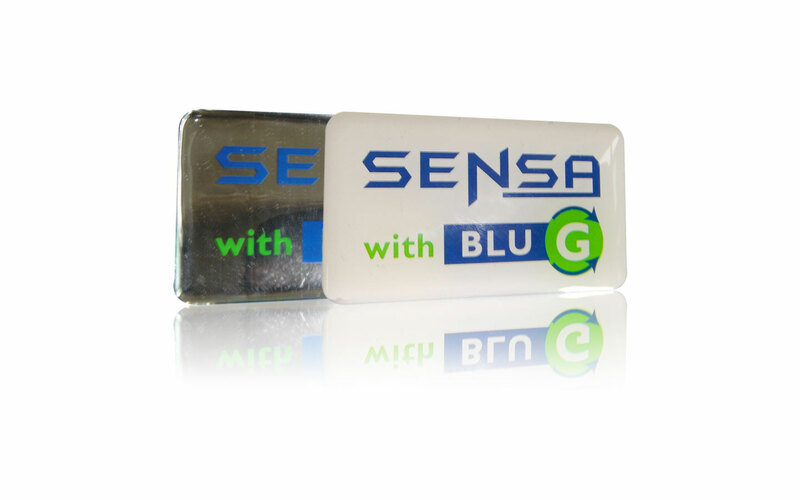 On exposure to UV, there will be no yellowing or any tint being developed in the Clear Polyurethane Resin. The surface would not crack, the Label would not shrink. 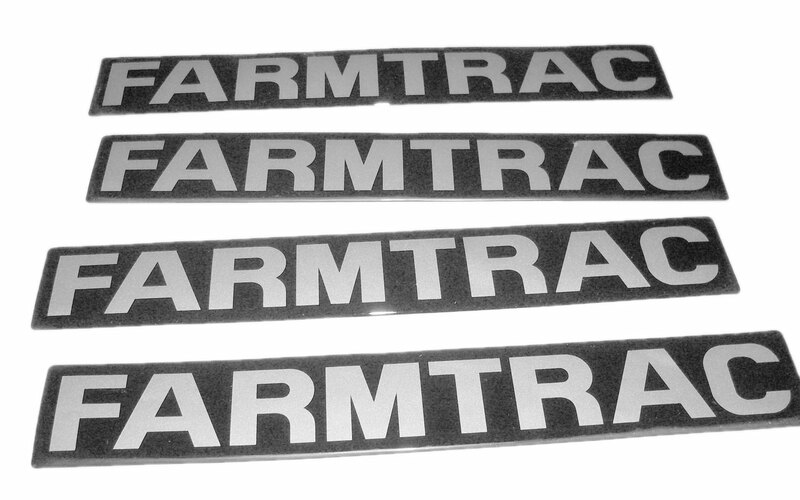 Urethane dome labels are resistant to salt, chemicals, cleaners, and most solvents. 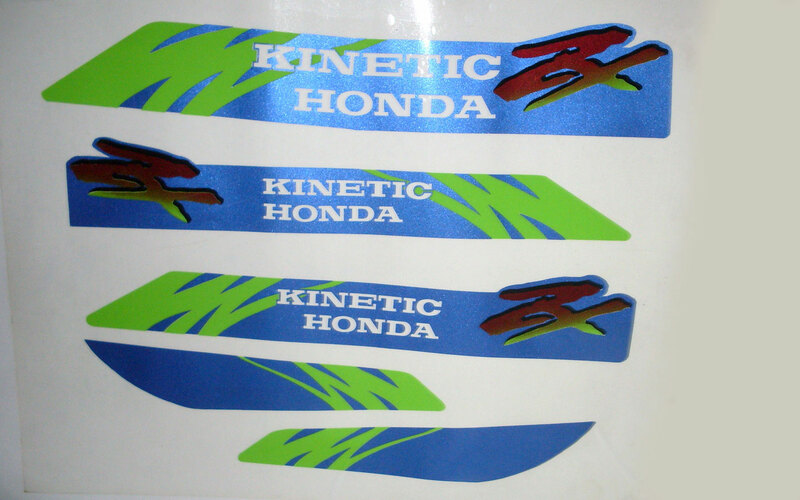 PU Dome labels also "heal" themselves when they get scratched..
Dome Labels can be provided in various shapes and sizes, in various colours , including metallic colours. 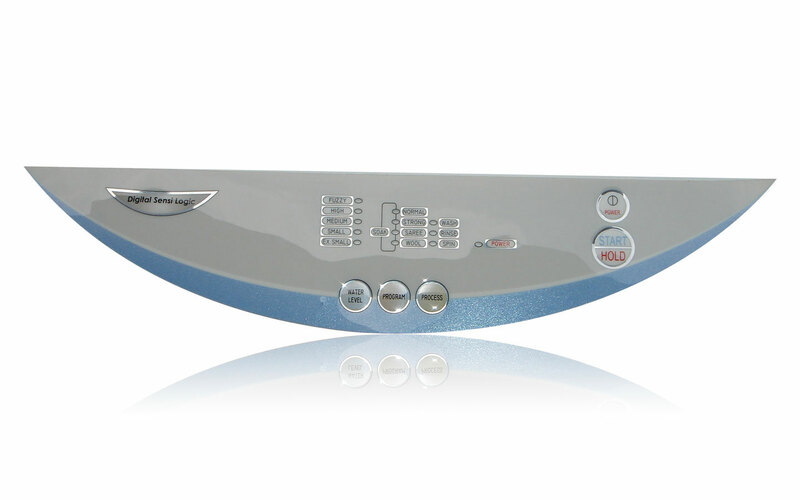 Besides the regular colours these can be provided in Mirror Silver Finish, Holographic/ Laser Finish, Brushed Steel Finish etc. 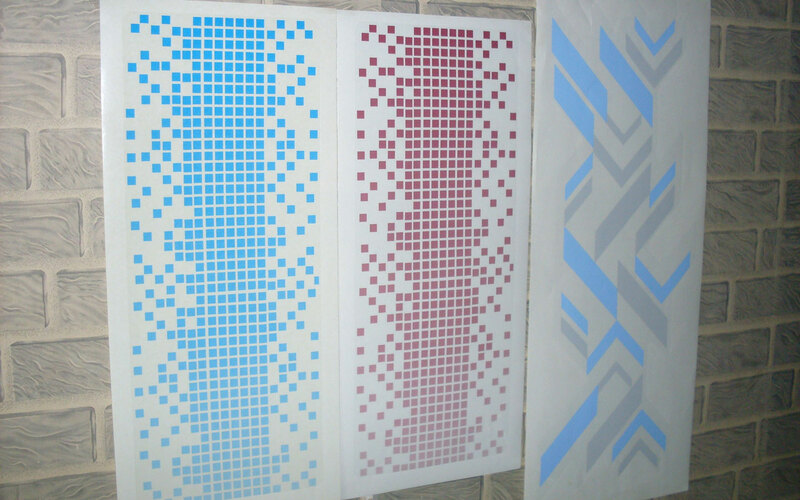 Printing can be a four colour half-tone picture or can be a line artwork in various Pantone Shades. The range & the designs are limited only by your imagination. Fastest turn around time. 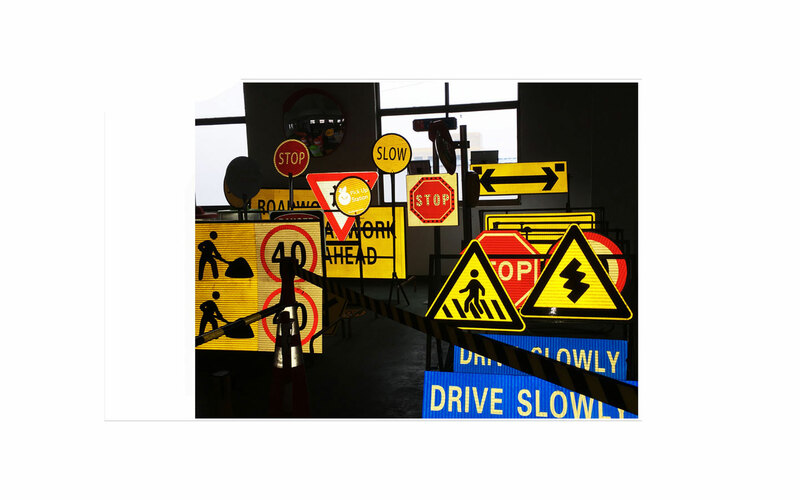 Adhesive will adhere well to plastic, metal, powder coat, glass, and wood. 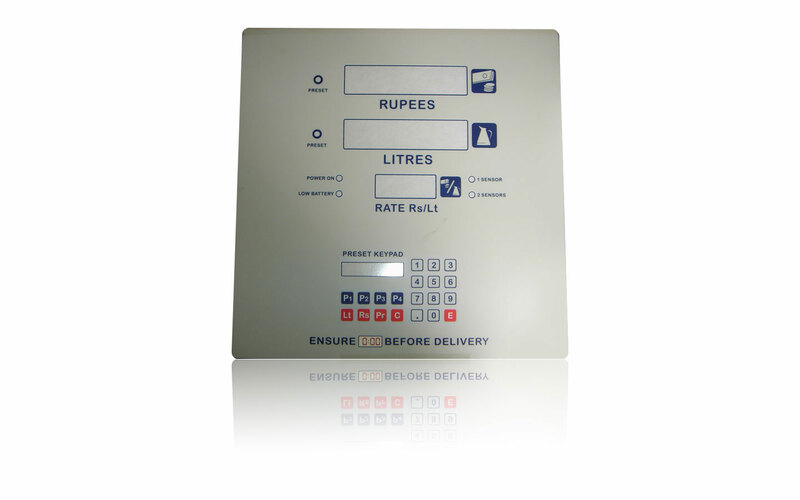 Front Panel Fascias , Name-plates ,Overlays etc. 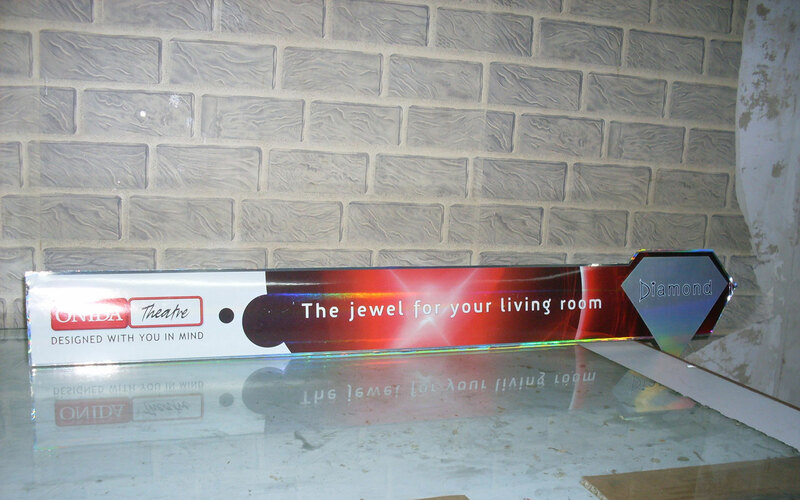 We are termed as Crackerjacks in this product range not just by our Satisfied Customers but even by our Rivals. 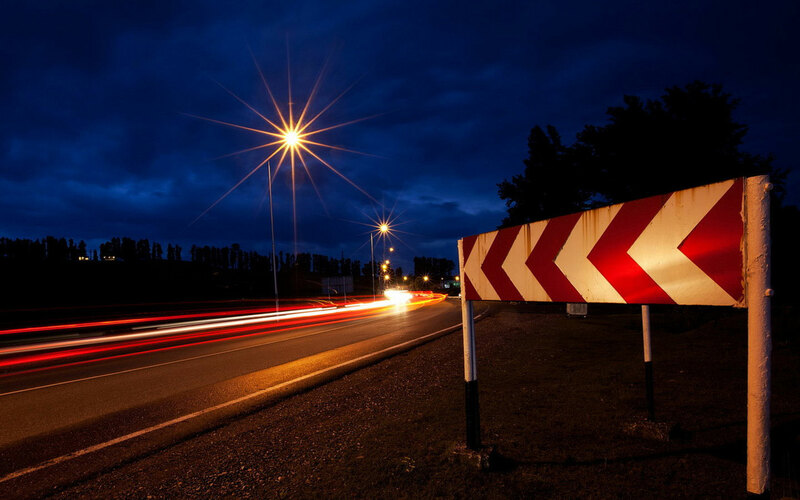 Besides, we have the fastest turn around time in the Industry. 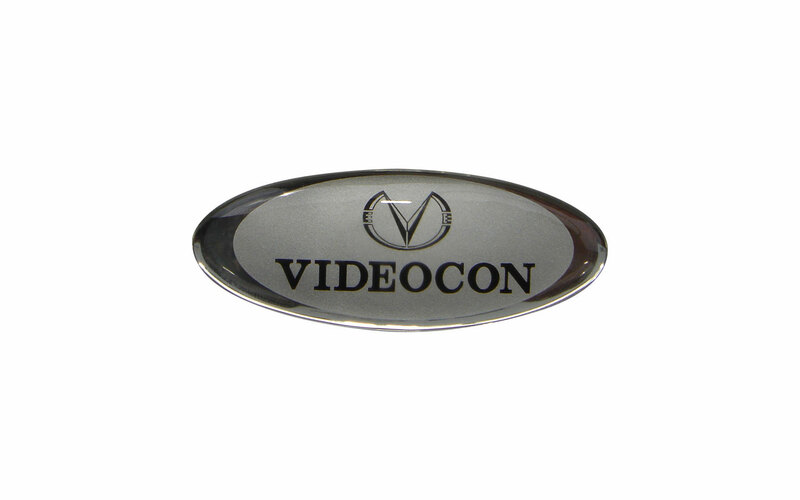 These can be provided in various finishes (viz. Gloss/Polished, Matt, Velvet, Suede etc.) 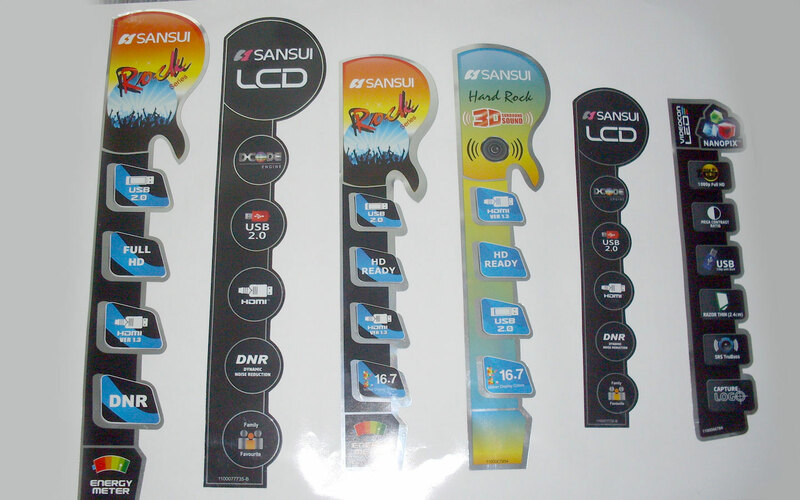 in different standard available thickness. 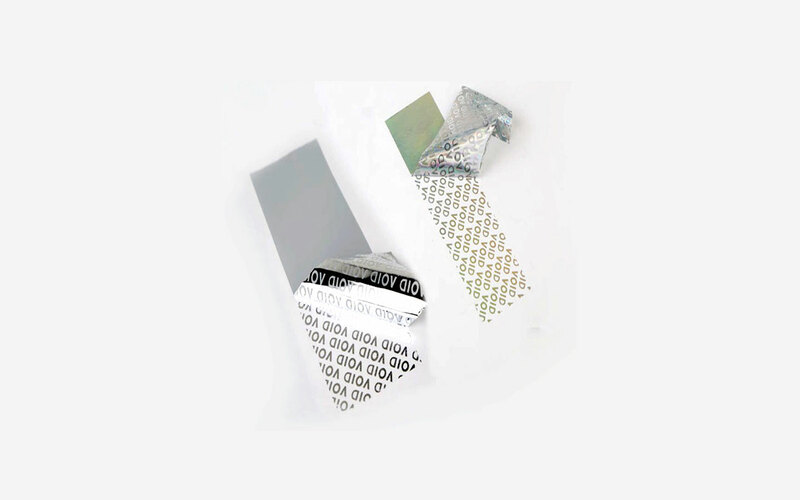 With a wide range of colours to select from metallic or non-metallic different densities of glitter/ sparkle can be provided in metallic shades. Can provide selective chrome (i.e. 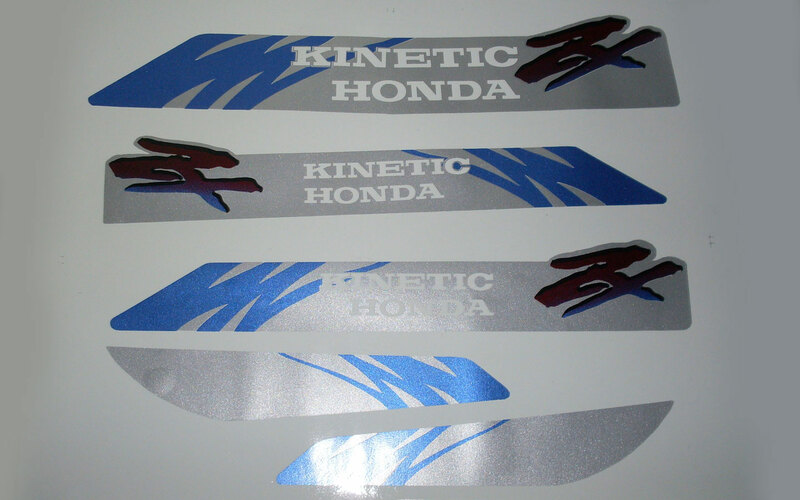 mirror finish ) gold / silver or holographic effect. 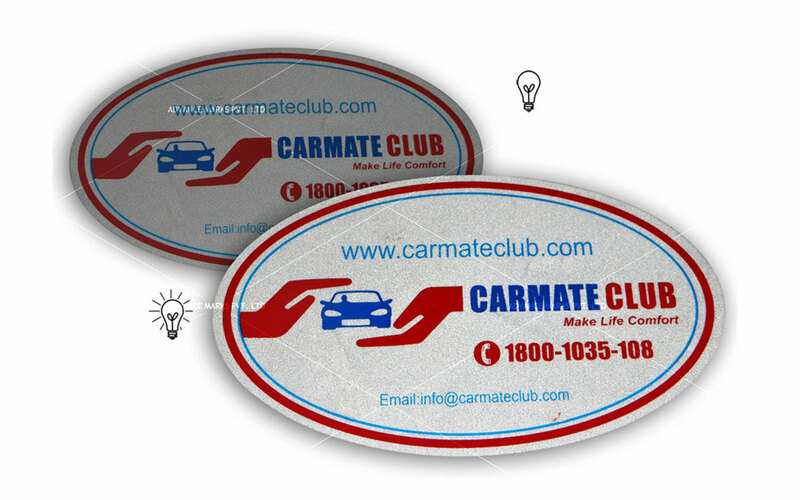 With or without embossing of the desired shape & of desired height within the tolerance range. 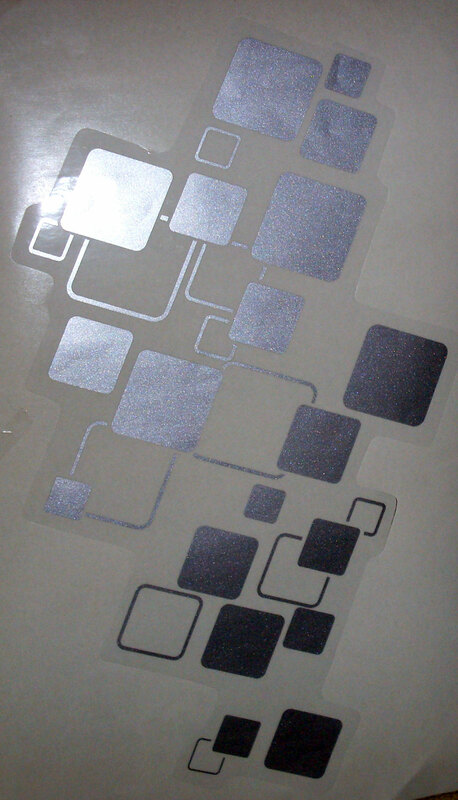 To suit the substrate on which the panel is applied, the adhesive will be accordingly provided. 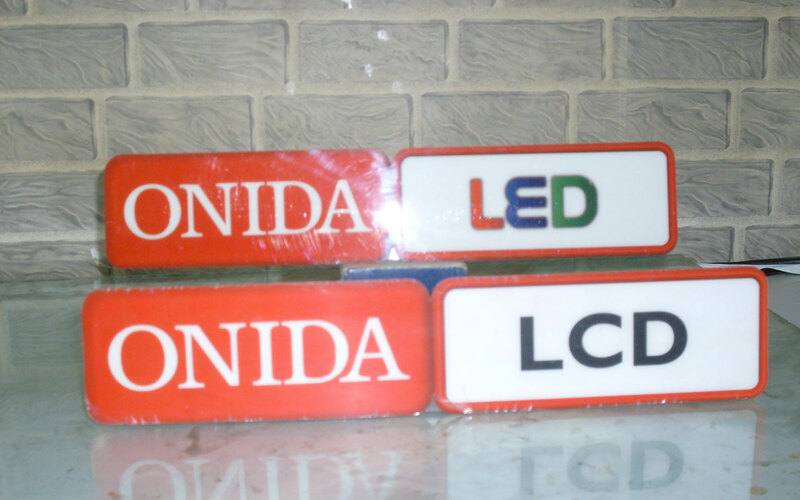 Dead Front Back Lit Applications -- used in the Home Appliances Industry, used by various Industrial Equipment Manufacturers ( for Name plates), used as Indicator Panels in Vehicles, etc..
Polycarbonate : Polycarbonate used is of GE Plastics..the brand name being LEXAN. 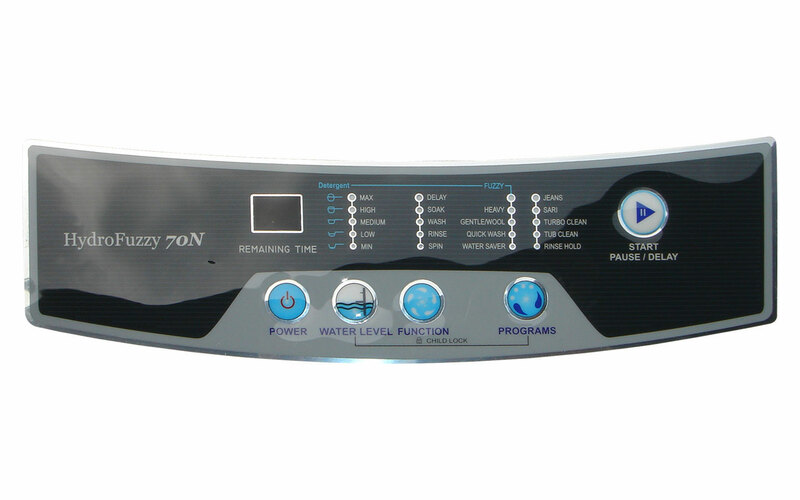 LEXAN polycarbonate films offer an unusual combination of features including clarity, dimentional stability, toughness, flexibility, heat resistance. 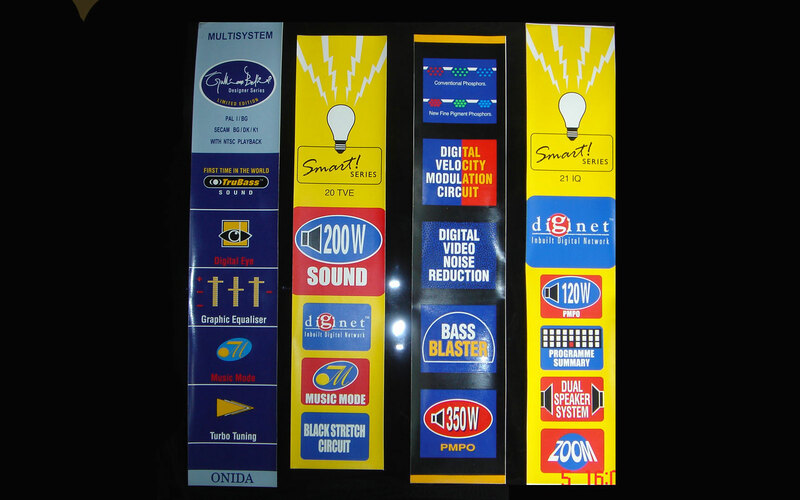 The versatile performance of these products suggests a variety of applications including nameplates, packaging, cable wrapping, automotive instrument clusters, membrane switch overlays,and others. 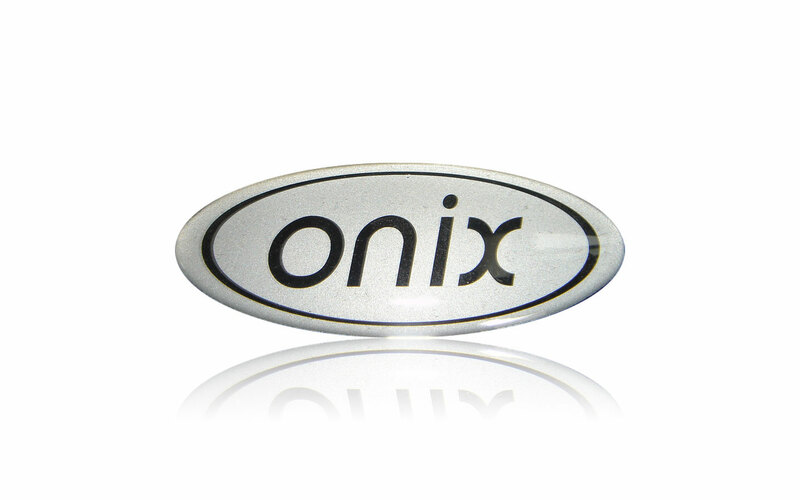 Polished / Gloss : Virtually defect free.Particularly effective for LED/LCD windows. Matt : Light Diffuser. 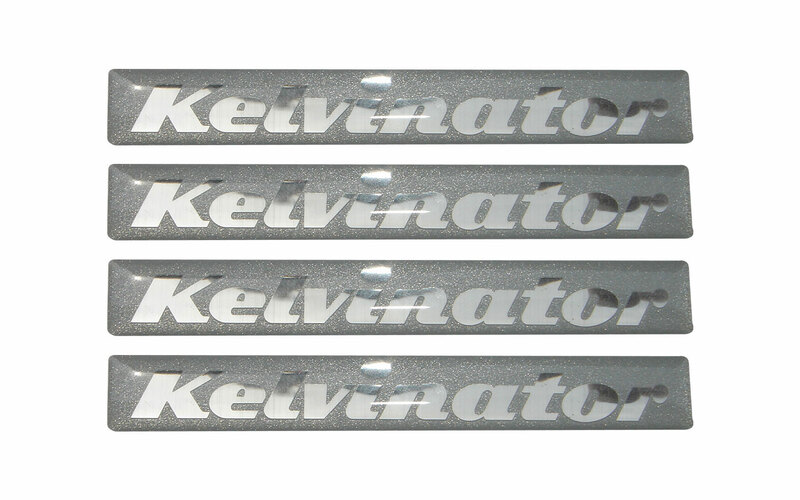 Hides filaments and eliminates "hot spots" in back lit applications. 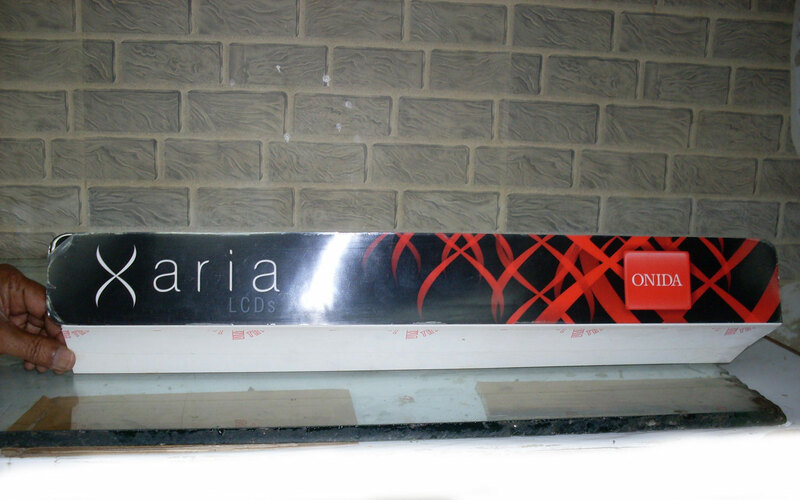 Offers reduced surface reflections and gloss. 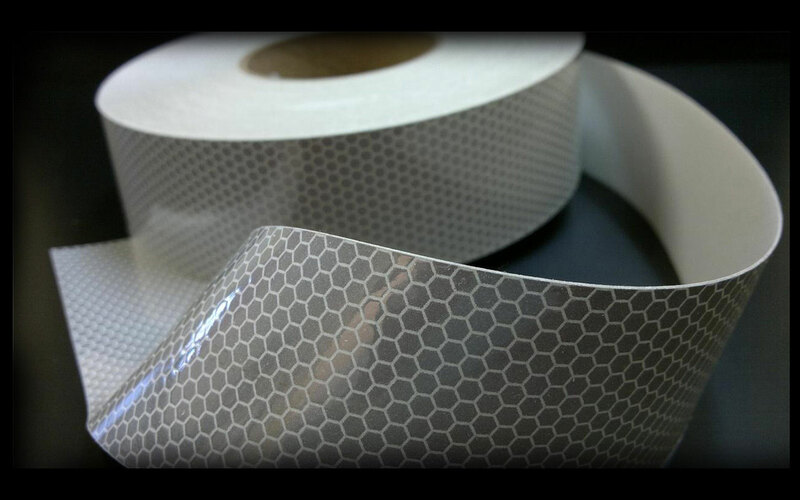 Hides scratches, fingerprints and marring for heavy-use applications. 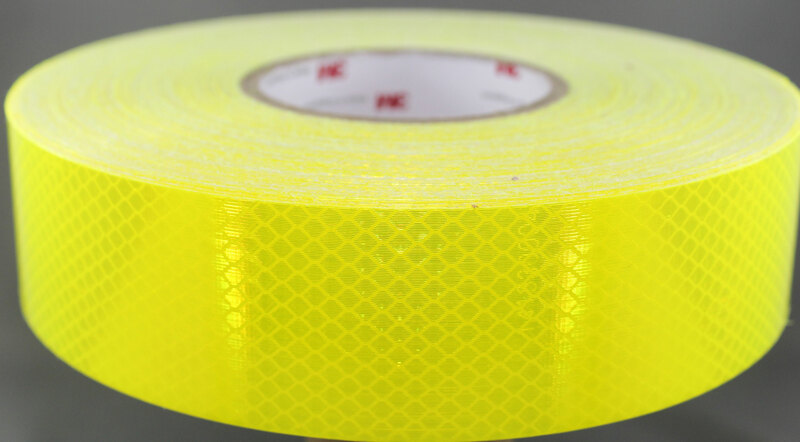 Polyester: Compared to polycarbonate, polyester is much more chemically inert. 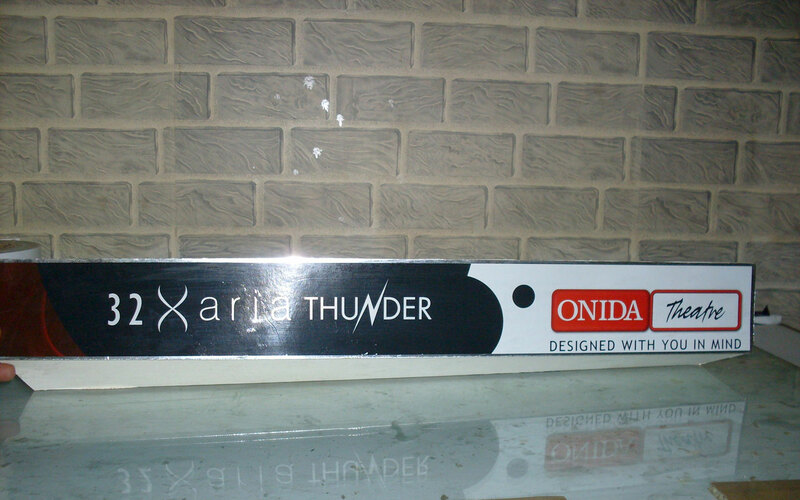 It is comparatively much more abrasion resistant, heat resistant more stable at higher temperatures. 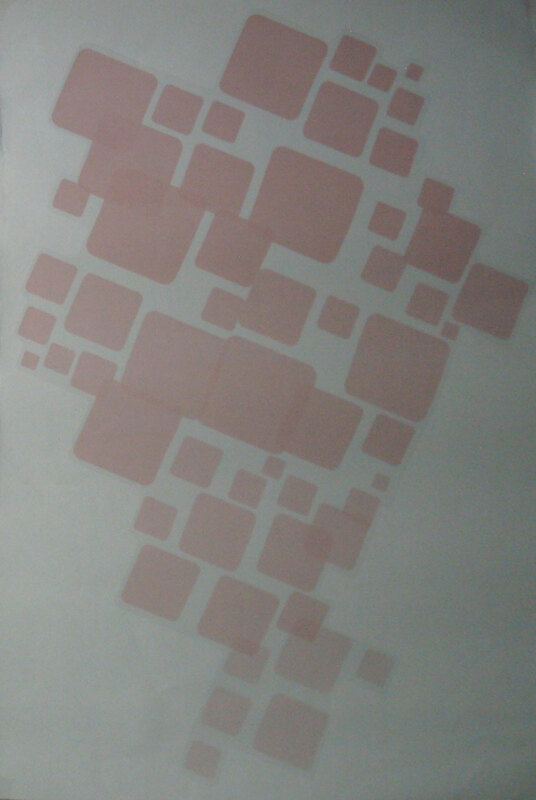 It is also used for Industrial applications where wear n tear and abuse of the product is likely. 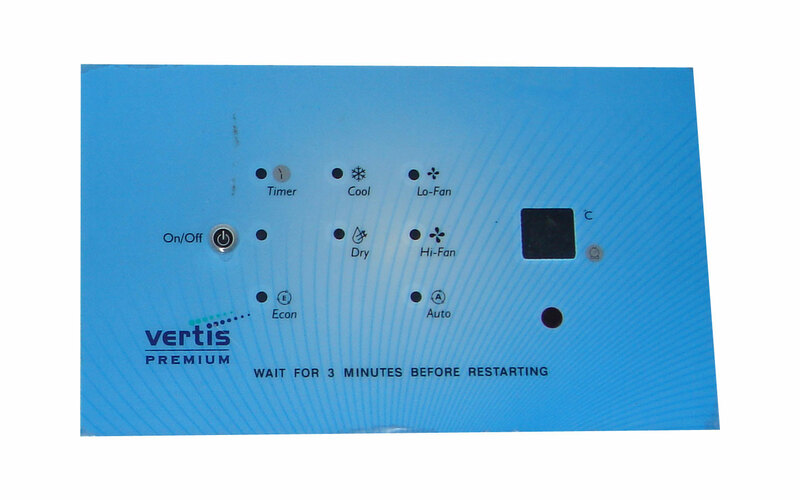 Is always preferred/ specified to be used in Membrane Switches. 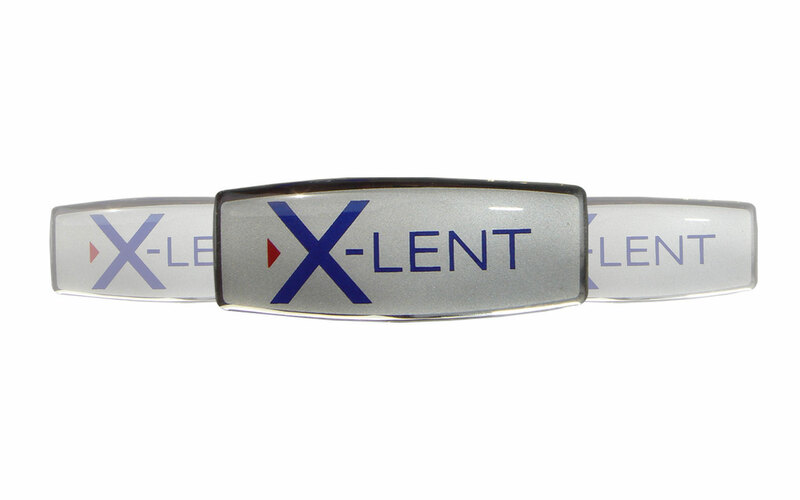 Polyester has a much higher Flex life as compared to polycarbonate. 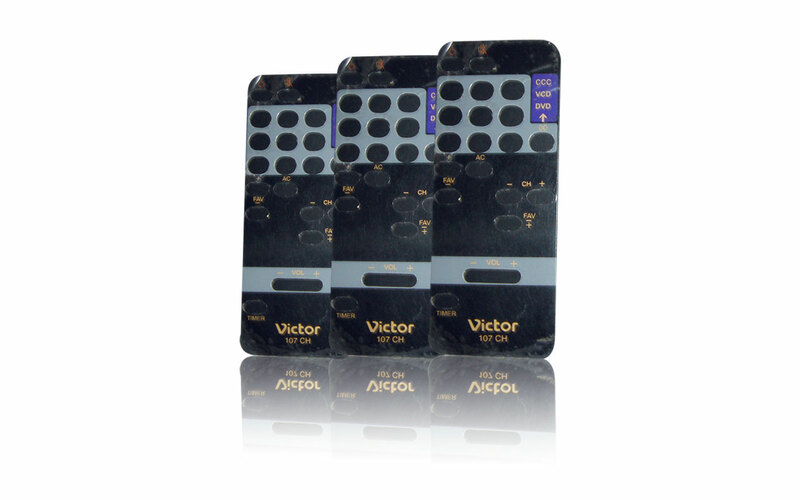 Flex life the number of actuations that can be made with the embossed button without the material cracking. 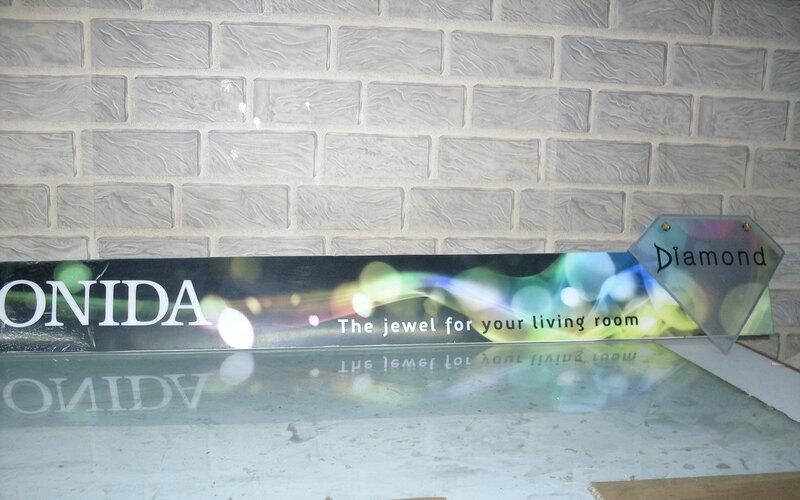 It is about 5 million for polyester..and about 5 lakhs for polycarbonate. 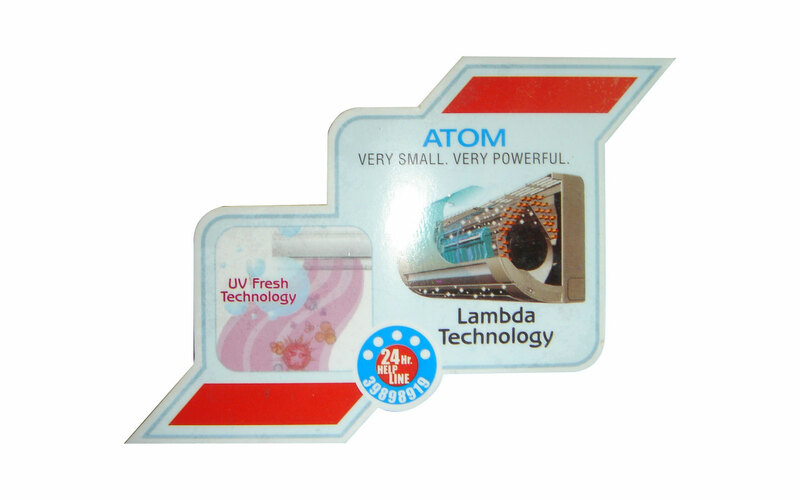 These are Self Adhesive Labels specifically designed to be used on white / grey goods Refrigerators, Television Screens, Microwave Ovens, front body of Washing Machines etc.. as 'Body Graphics'. 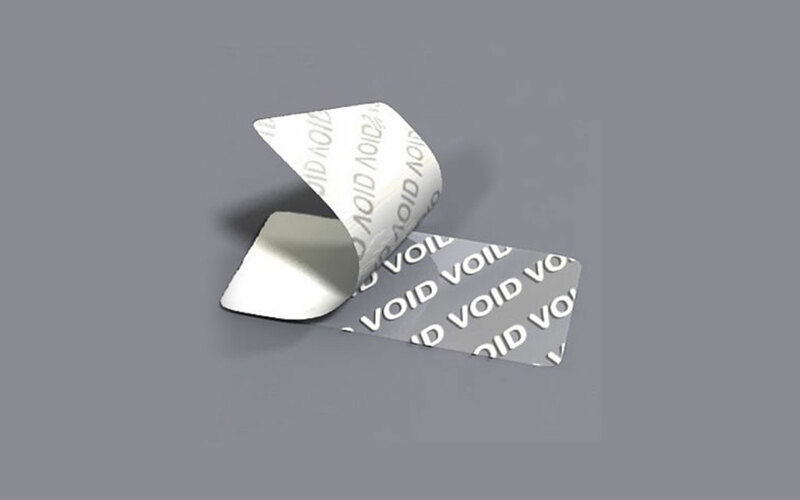 The Adhesive is so formulated that it does not leave any marks on the substrate after the label has been removed ,hence your refrigerator/television does not require any cleaning with soap water or any solvent to remove the adhesive marks that are usually left behind by other common labels. 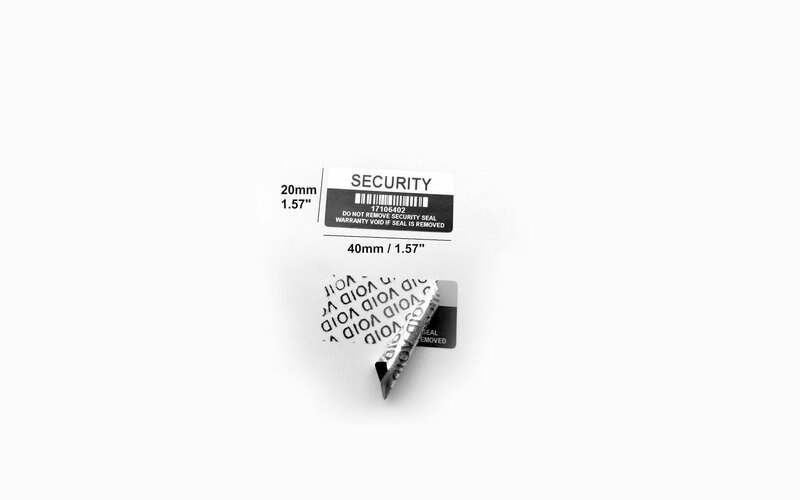 These are labels that are Internationally used on most of the white / grey goods. 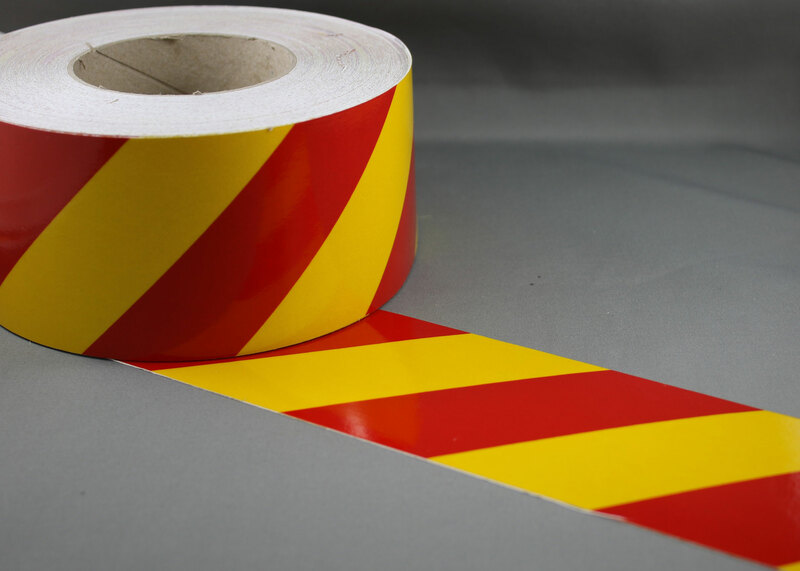 REMOVABILITY : Upto 1 Year (can be removed and applied time and again) Only precaution to be taken while applying / reapplying the label is that the surface where the label is being applied should be cleaned of any dust / dirt / oil / grease. 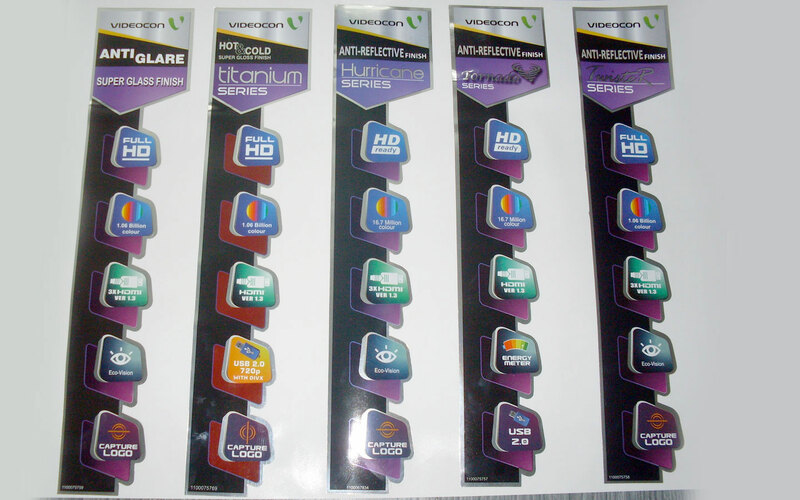 These are large sized Four Colour Printed Posters. 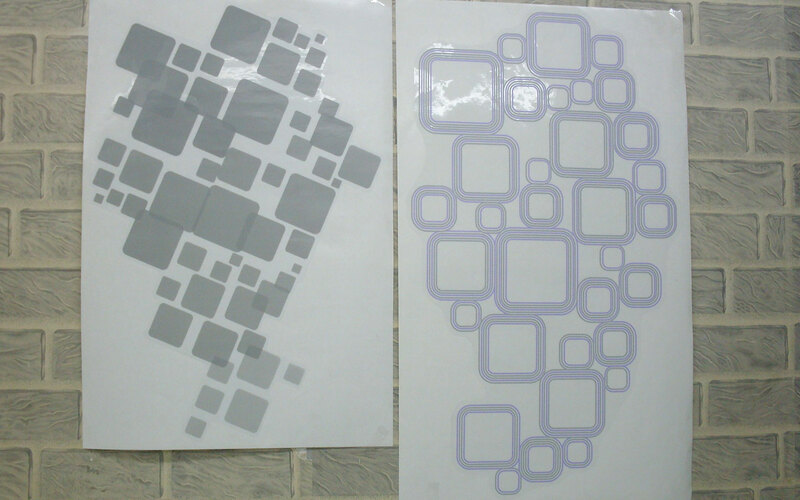 Base material can be PET , POLYCARBONATE , PVC , MIRROR SILVER PET ... 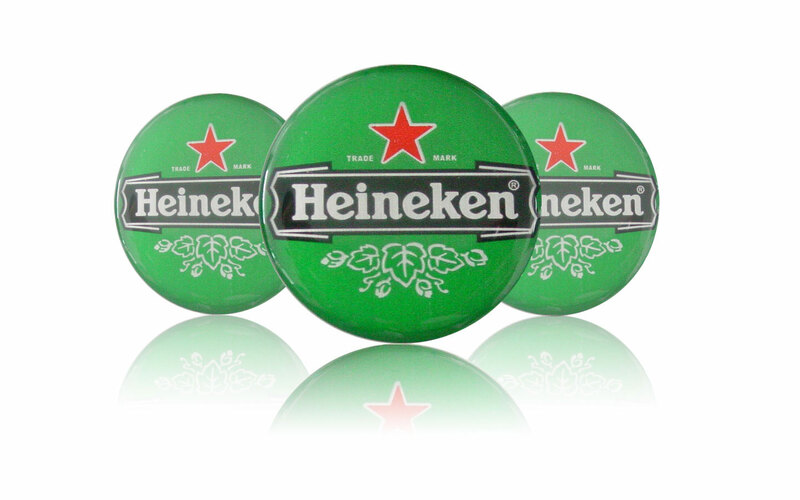 These can be embossed / thermoformed , selectively Domed. 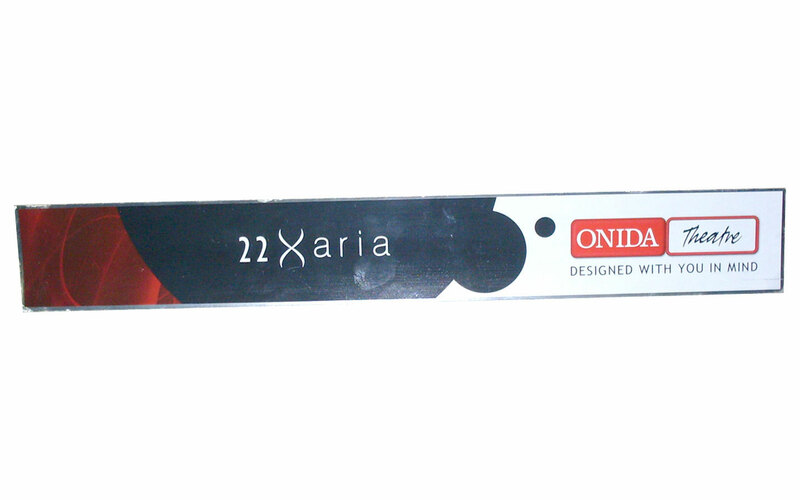 for Applying one can use Removable adhesive , Magnets etc. 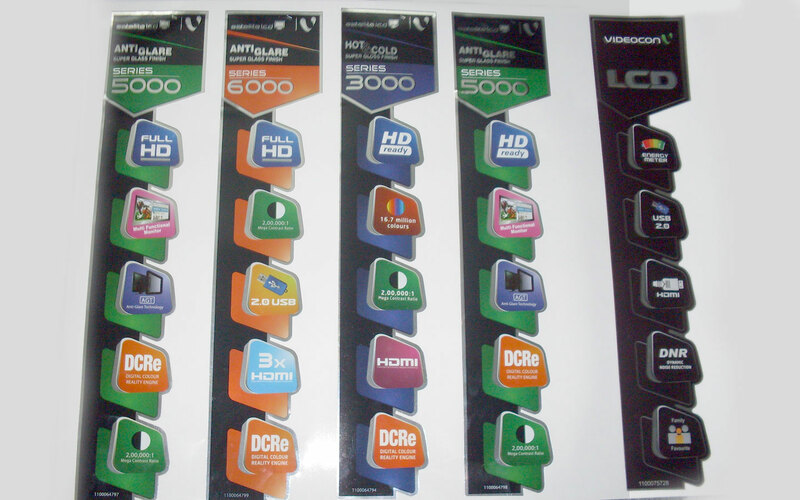 These are large sized Four Colour Printed Posters. 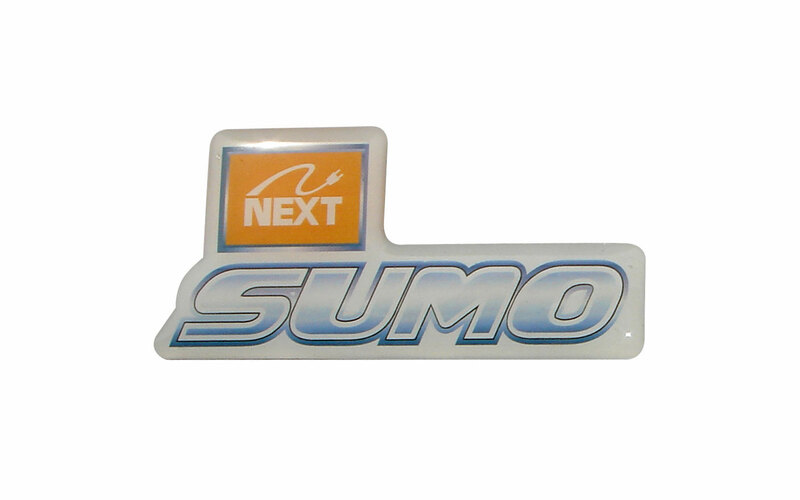 Base material can be PET , POLYCARBONATE , PVC , MIRROR SILVER PET These can be embossed / thermoformed , selectively Domed for Applying one can use Removable adhesive , Magnets etc. 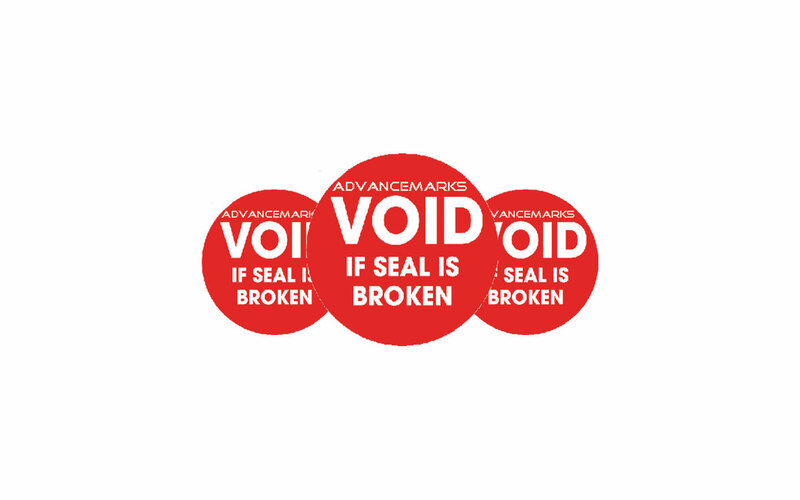 Vandal Proof Labels / Tamper Proof Labels / Destructible Labels The basic property one wants of these Labels is that once these Labels are applied it should not be possible for any miscreant to be able to remove them. 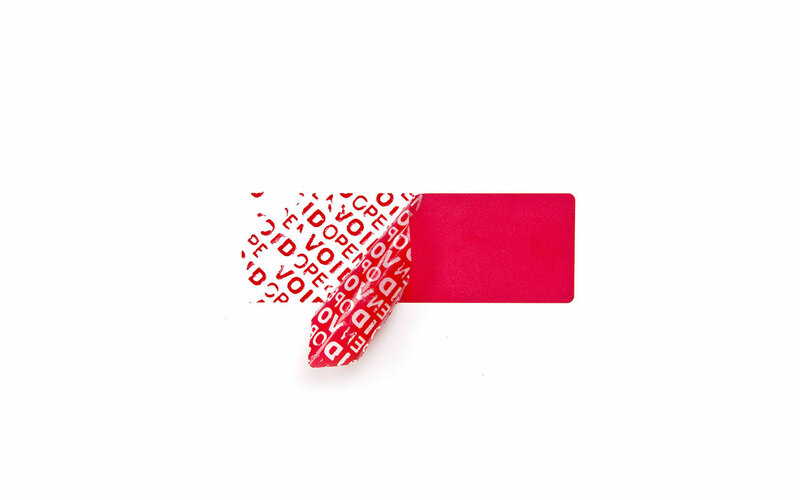 Therefore these Labels are made on such material that doesn't allow the Label to come of in one complete piece these Labels have an inbuilt tendency to break off in minute pieces if one tries to remove them, after having applied the label on the substrate. 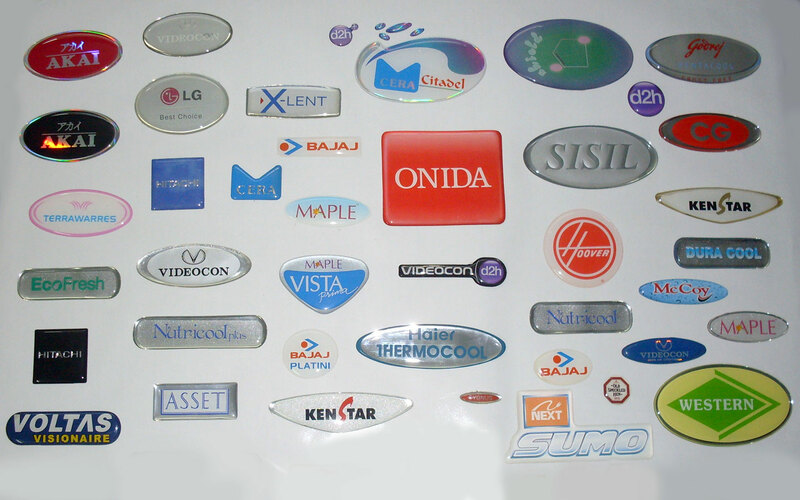 These kinds of labels are used in various Industries such as White goods, Grey goods, is used in the Electronics Industry, Telecom Industry etc.. 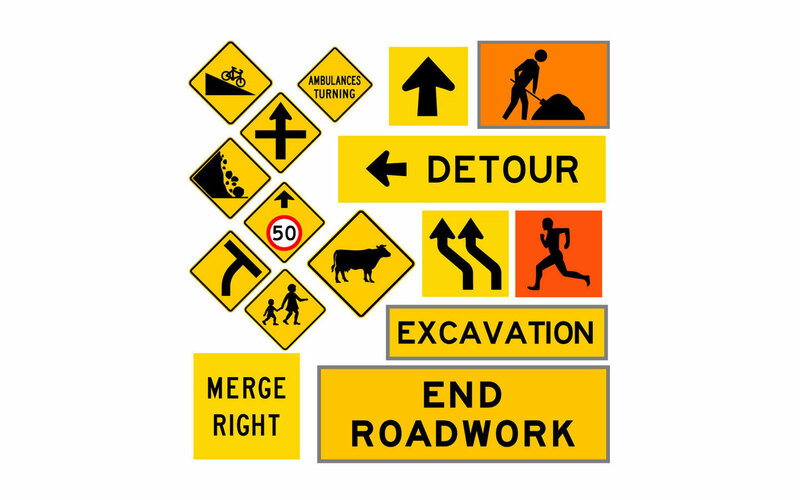 The Labels are applied on each important part of the equipment e.g. 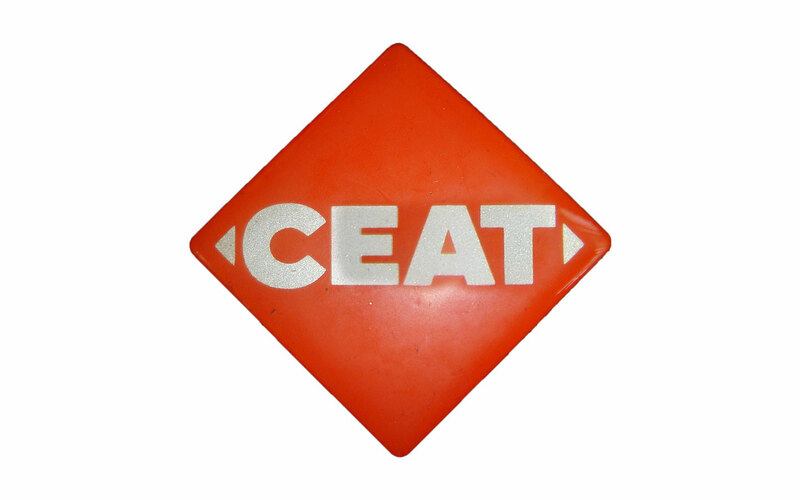 IC's and usually there is a monthly /yearly code preprinted on these seals, for manufacturers identification. 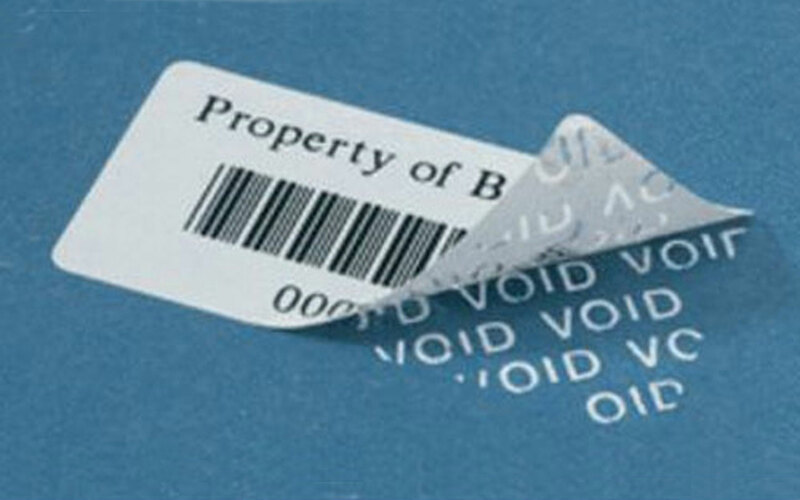 Can also use 'Holograms' on the Serial Number Labels as shown below. 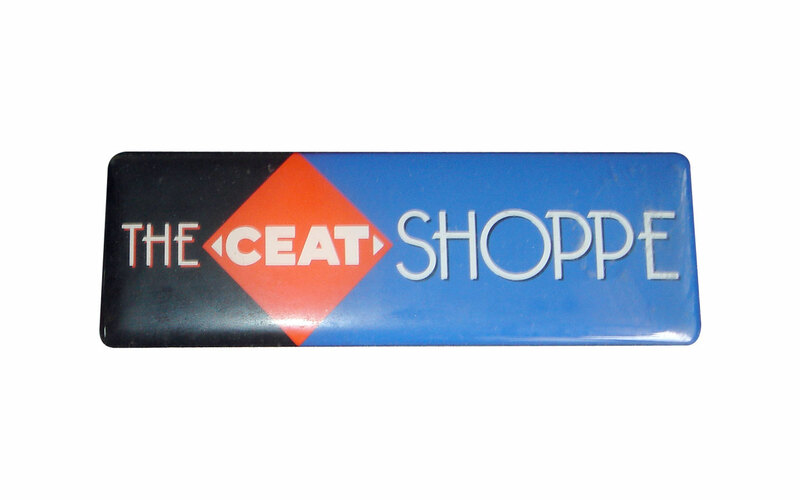 It further emphasizes the Genuinity of your product. 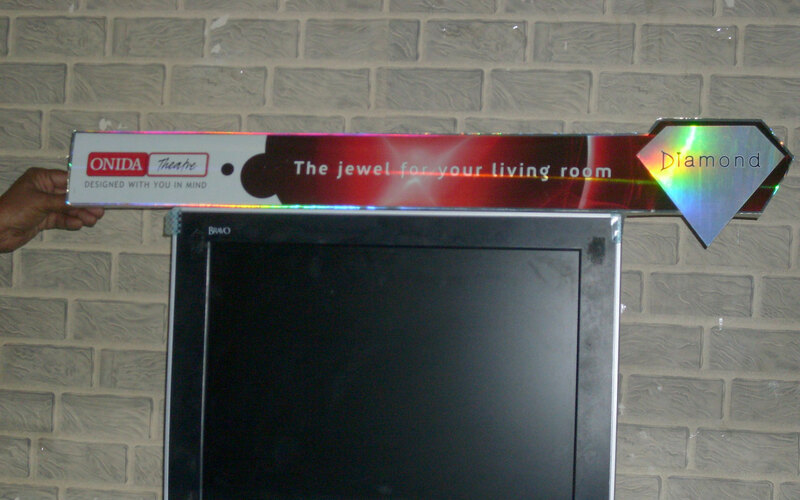 If interested we can provide you details on various types of 'Holograms'. In the dark, when light is incident on these labels they reflect back the incident light --giving an appearance of glowing. But one thing should be borne in mind the label only reflects the light received by it, in the absence of a light source it has no brightness. 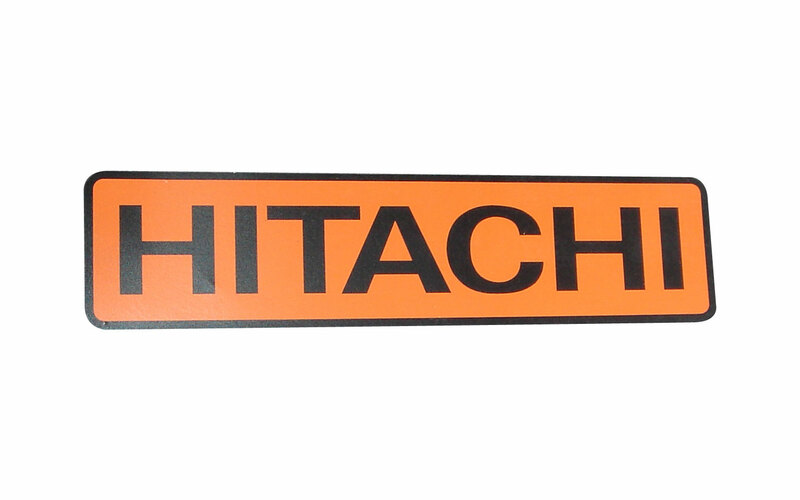 These are very useful Labels and provide an additional safety factor for Vehicles. 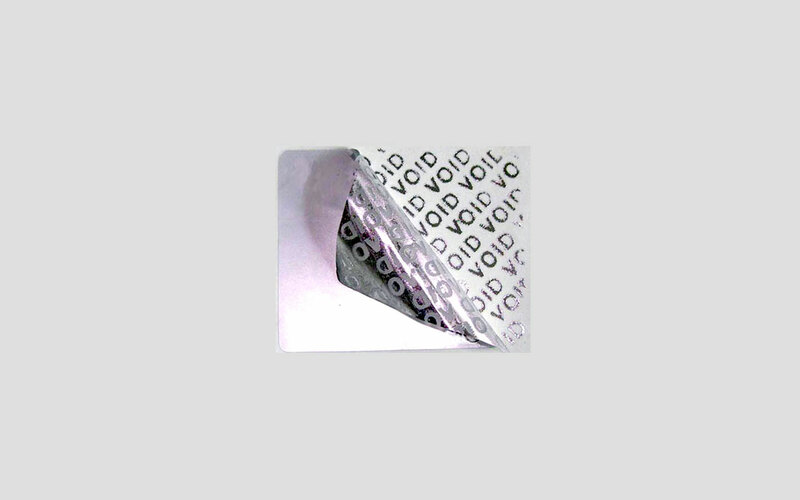 These are much superior to the traditionally used plastic moulded reflectors having superior light reflecting properties and an enhanced life PLUS easy application These labels again are Self-Adhesive Vinyl Labels having the same outdoor* properties as the earlier metioned Long-Life Vinyl. 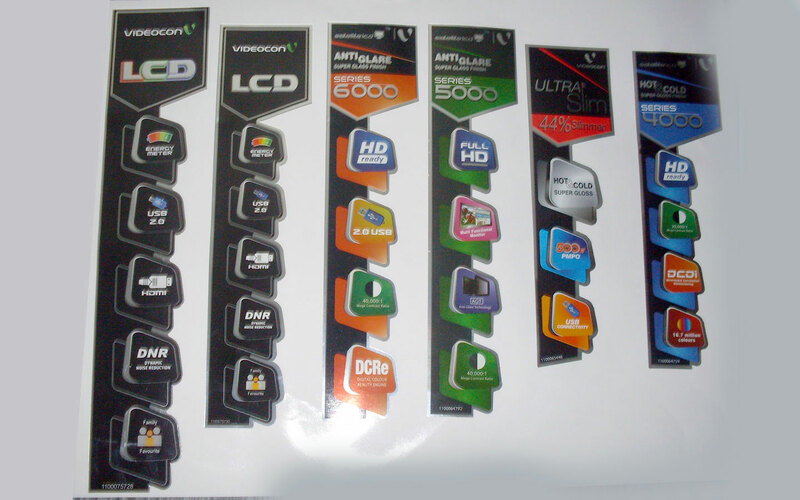 Various Colours can be provided in these types of labels too. 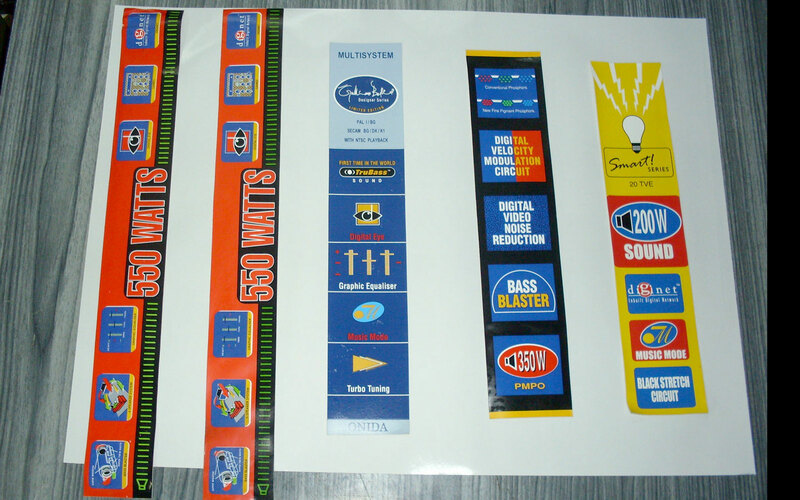 Can provide labels which will last from 2 to 10 years or more if required. 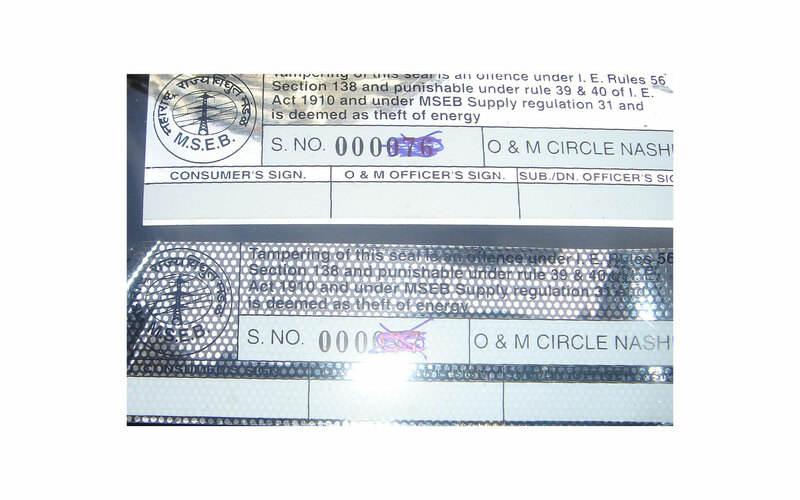 Advance Marks & Labels Pvt Ltd.
Mumbai - 400018. Maharashtra, India.